Award-winning author Barry Lopez will join us in Durango at the Library as part of the Crow Canyon Distinguished Lecture Series. Tickets for a single presentation can be purchased for $30 and are available at Maria's Bookshop. You can also get tickets by calling Bronwyn at (970) 564-4396, toll-free at (800)422-8975, ext. 136, or e-mailing her at bstrickland@crowcanyon.org. Proceeds benefit the Four Corners Youth Scholarship Fund at Crow Canyon. Maria's Bookshop will provide books for sale at this off-site event. 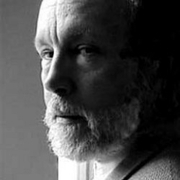 Barry Lopez is currently considered a "single author." If one or more works are by a distinct, homonymous authors, go ahead and split the author. Barry Lopez is composed of 14 names. You can examine and separate out names.